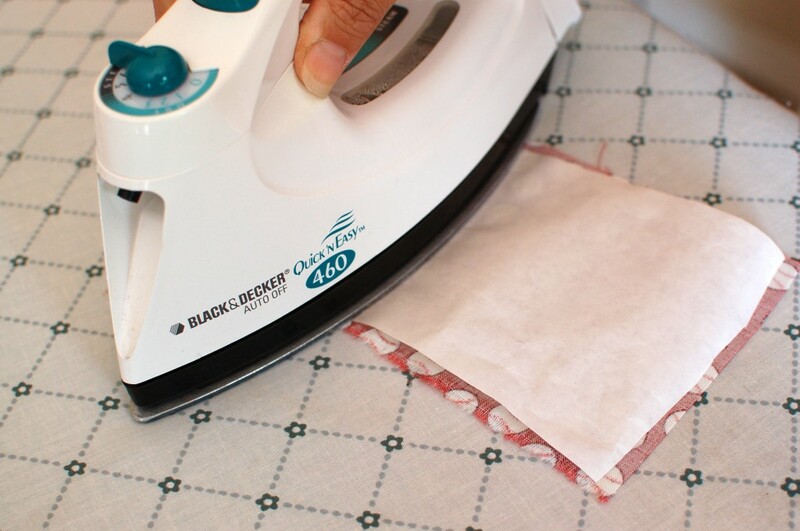 Using scraps of fabric and iron-on fusible webbing is an easy way to decorate tops and tote bags! 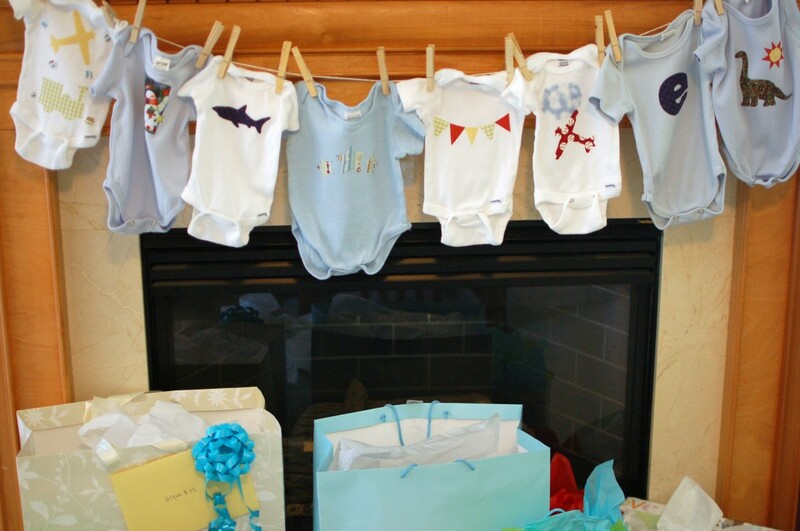 At my friend’s baby shower, each guest had a chance to make a special onesie for the baby. 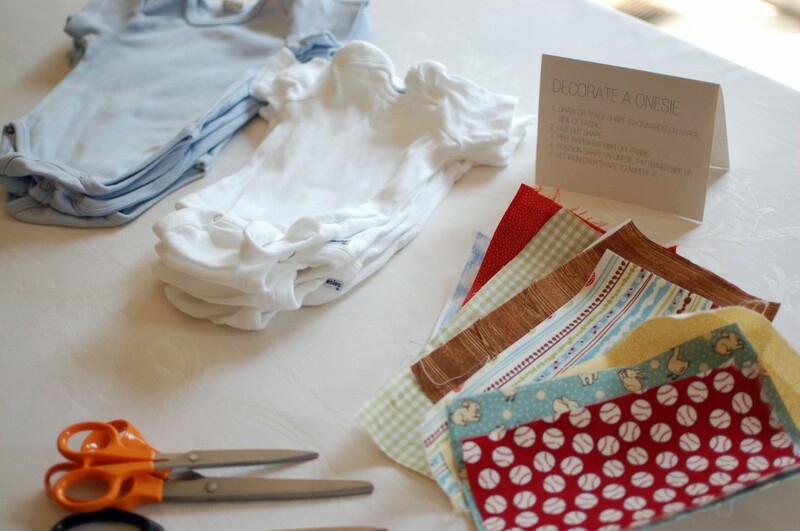 We made it even easier for guests by doing the first three steps ahead of time and by providing them with a range of “baby boy” shapes to use as templates! 1. Pr-heat iron on silk setting. 2. Cut fusible webbing into a rectangle about the same size as fabric scrap. 3. Set fusible webbing, paper side up, on the back of the fabric. Iron lightly for 1-2 seconds. 4. Draw or trace shapes onto the paper backing. The final ironed-on shape will be a mirror image, so be sure to draw your letters or other directional shapes backwards. 6. Peel off backing paper. 7. 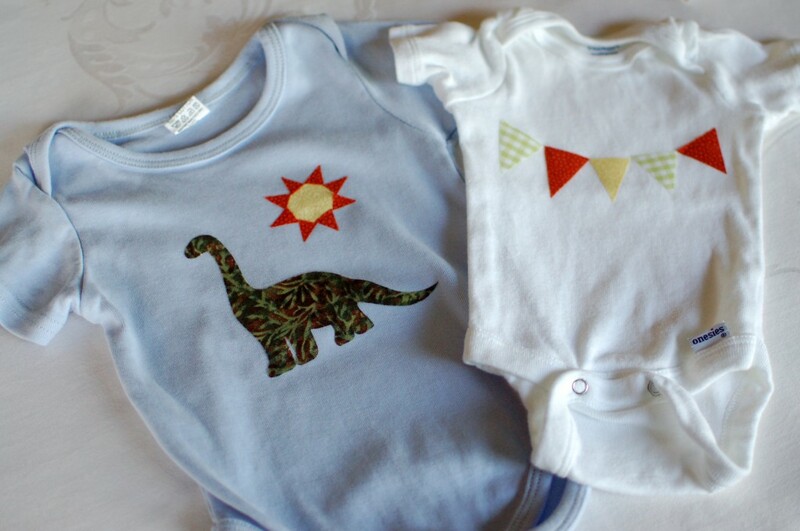 Place shape right-side up on the onesie in desired spot. Set with iron, 3-5 seconds. 8. Optional: For an ultra long-lasting hold, stitch around the edges of the fabric. These are so cute!! I love the shapes and colors you picked! 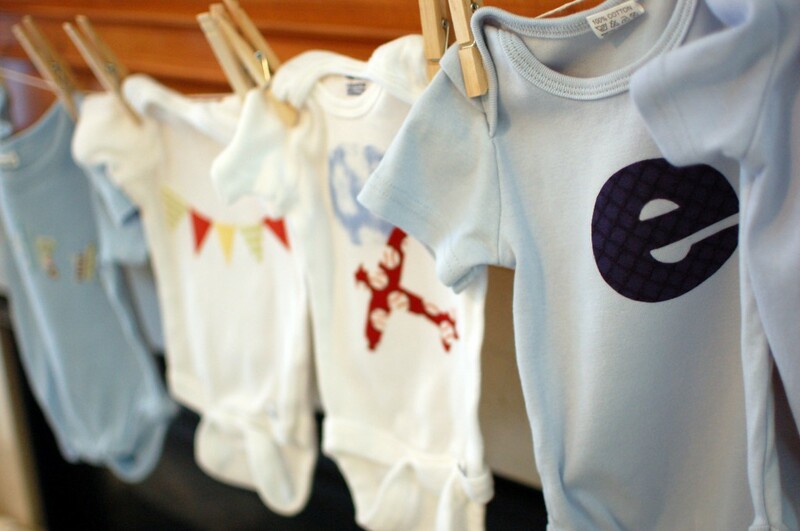 I can’t wait to make some for Emme! Craft night?? I am trying to do the same thing and I love the direction you have for the guest. Could you send me what it says becuase I can’t seem to read it.